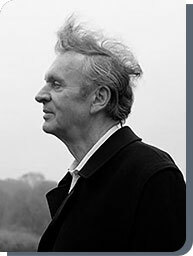 Rupert Sheldrake, PhD, is a biologist and author of more than 80 technical papers and 11 books. He studied natural sciences at Cambridge and philosophy and history of science at Harvard, where he was a Frank Knox Fellow. He took a PhD in biochemistry at Cambridge and was a Fellow of Clare College, Cambridge, where he was Director of Studies in biochemistry and cell biology. He was also a Research Fellow of the Royal Society. From 1974 to 1978 he was Principal Plant Physiologist at the International Crops Research Institute for the Semi-Arid Tropics (ICRISAT) in Hyderabad, India, where he worked on the physiology of tropical legume crops, and remained Consultant Physiologist until 1985. His books include A New Science of Life (1981, new edition 2009), The Presence of the Past (1988, new edition 2011), Seven Experiments that Could Change the World (1994, new edition 2002), Dogs that Know When Their Owners are Coming Home (1999, new edition 2011), The Sense of Being Stared At (2003, new edition 2013) and Science Set Free (2012; called The Science Delusion in the UK). He is a Fellow of the Institute of Noetic Sciences, near San Francisco, a fellow of Schumacher College, and a visiting professor at the Graduate Institute in Connecticut. He lives in London.